Hi there! 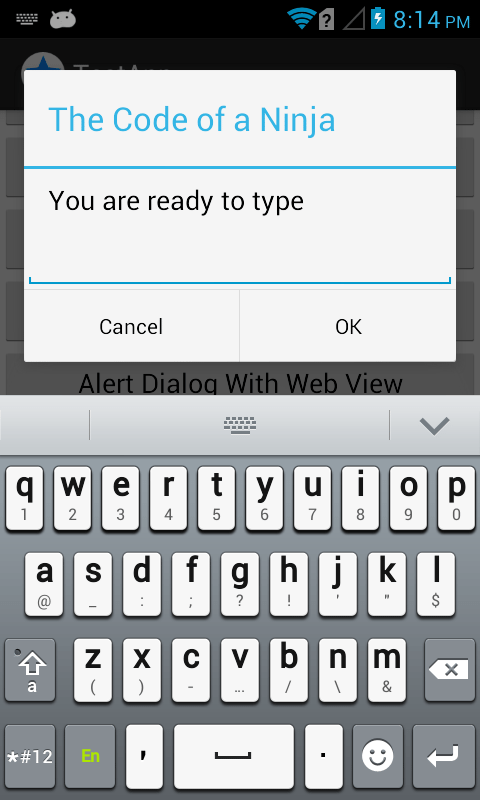 Today we’re going to do a script that will make a scrolling Android TextView. I found this one useful when I’m testing my other code snippets. The situation is, my text output exceeds the height of my android device screen, I cannot see the whole output unless I make the TextView scrolling. 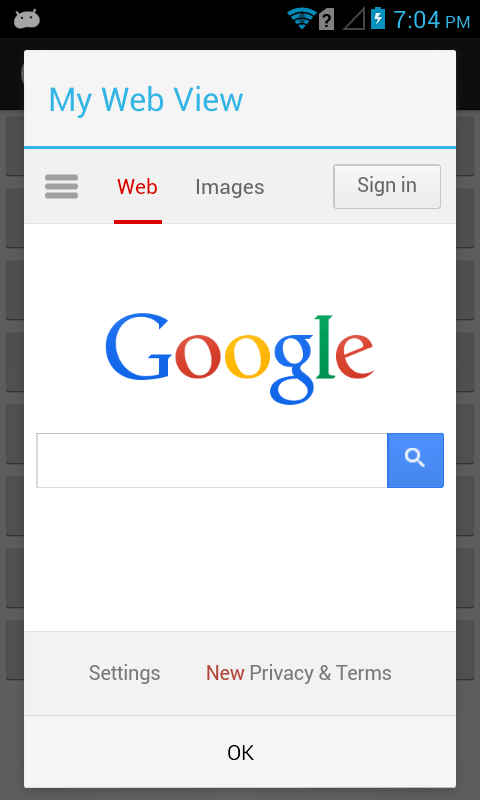 Thanks for reading this How To Scroll Android TextView! These Android AlertDialog.Builder example codes are some of the most common UI element or widget that we use with any Android app. In general, an AlertDialog is a small window that appears in front of your application. It gets the screen focus and able to accept user interaction. 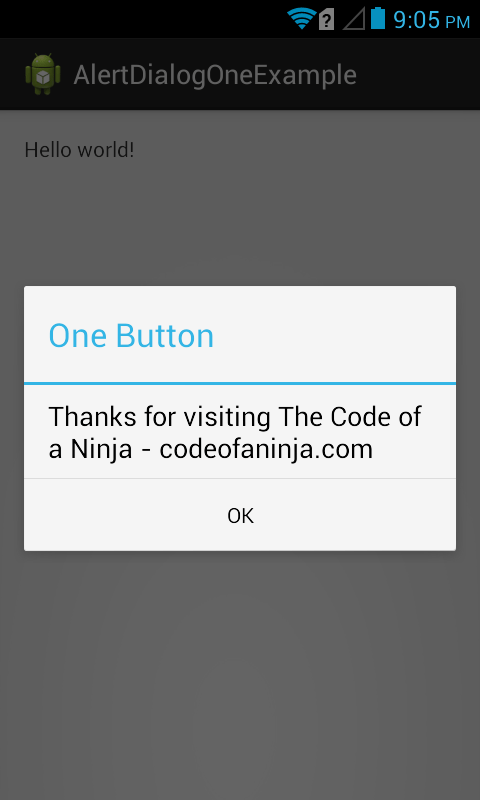 Dialogs are normally used for notifications that should interrupt the user and to perform short tasks. 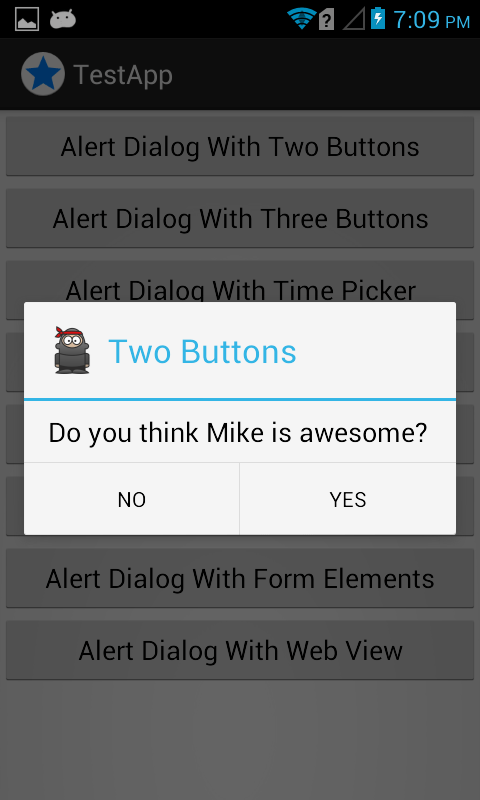 In this post, we are going to take a look at some common types of AlertDialog I use during Android development. 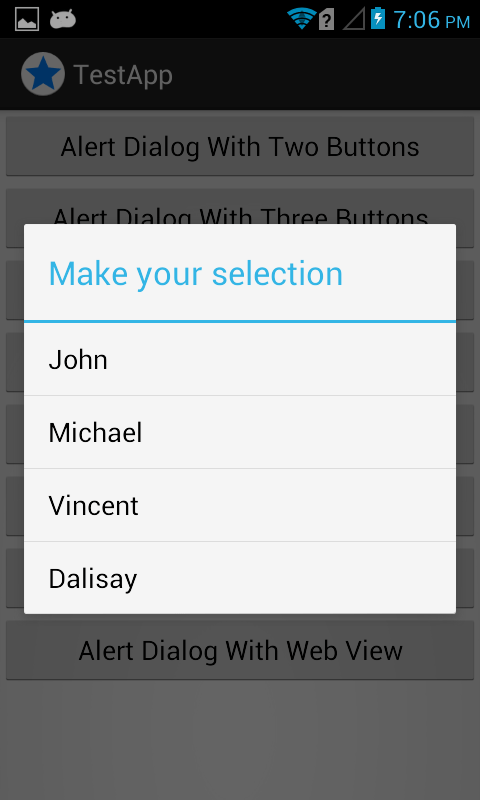 We will cover how to show an Android AlertDialog – from basic to a little complex type. 2.0 How to run one of the examples? First, I want you to see what will be the final output of our code for today. Here’s a video demo I shoot for you guys. Here’s a very simple code to run one of the example methods. On the following examples – numbers 3.0 to 16.0, the presentation will look like this: Code and then output. You can always change the button’s label by changing setPositiveButton’s first parameter, from “OK” to whatever characters or label you want. By the way, showToast() is another method I used to show a temporary or short lived message prompt to the user. 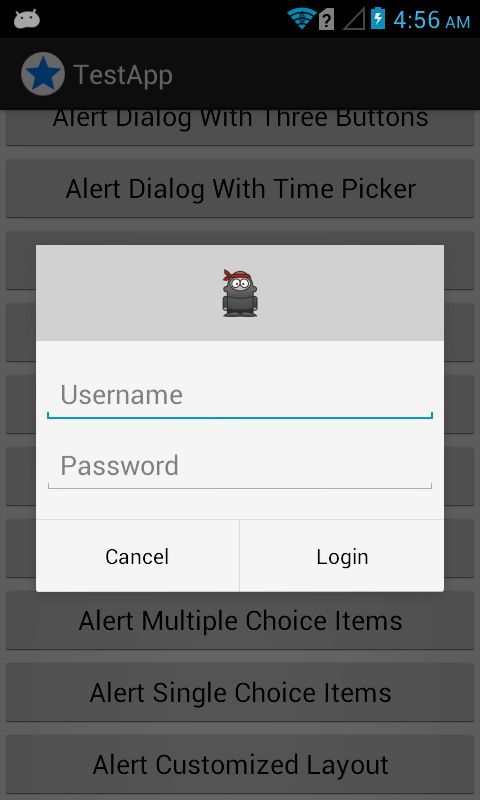 The ninja icon was set using the setIcon() with image from the project’s drawable resource. 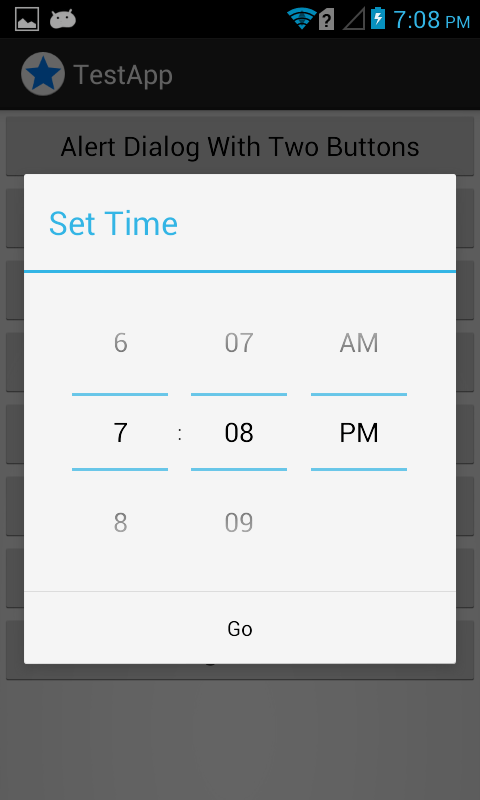 The TimePicker in our example were inflated from a layout resource. You can also do this programatically but I recommend using an XML layout resource so your TimePicker can be reused and easily themed. Keep in mind that we’re using a DatePicker XML layout resource here, we called it date_picker.xml, code were also provided below. Not looking good right? 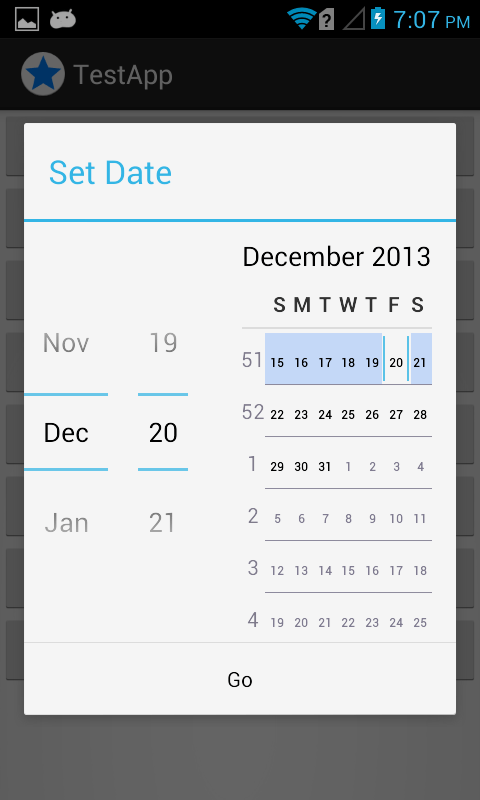 The view above is suitable for tablets only and not for phone screens, so we have to disable the calendar view using DatePicker’s setCalendarViewShown() method. Here’s something better for smartphones. You can add or remove items inside the CharSequence items. You can set the actions inside the onClick(), with the help of if-else statement. It can be achieved using the code below with an XML layout resource with a TextView wrapped inside a ScrollView widge. See scroll_text.xml code also provided below. 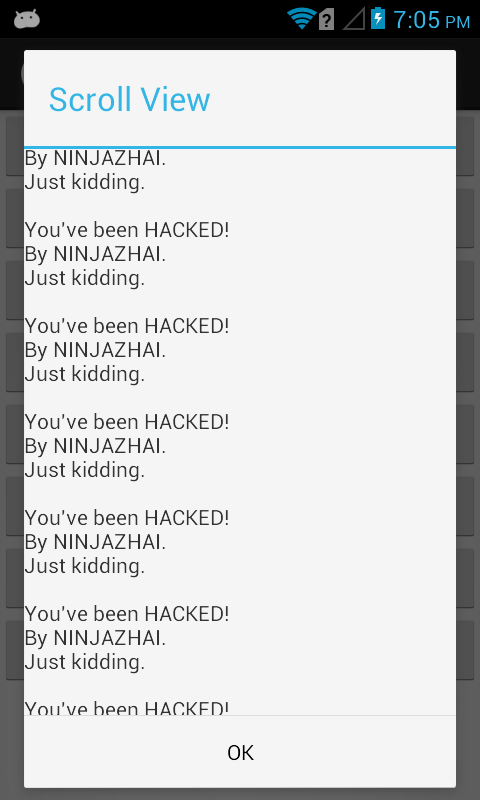 3.8 Android AlertDialog EditText, etc. 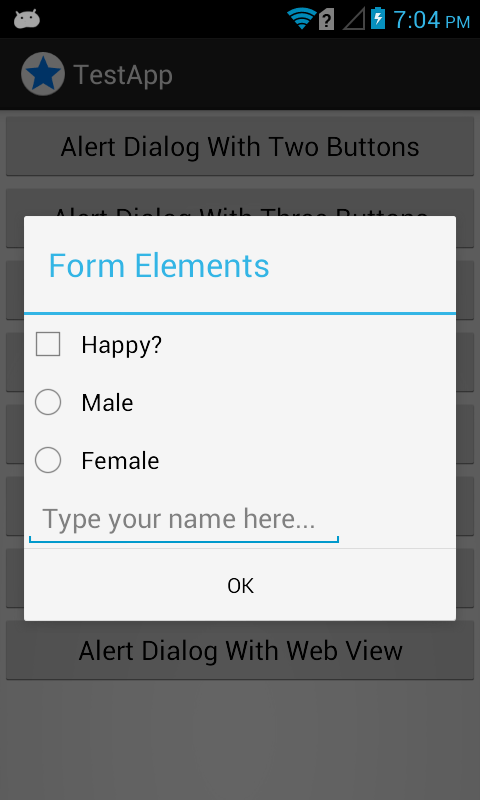 We also inflated an XML layout resource called form_elements.xml, code were also provided below. You can simply specify any web page inside the WebView’s loadUrl() method. Used when you don’t want an AlertDialog look like the usual. Again, the key to this is to make your customized XML resource and then inflate it! 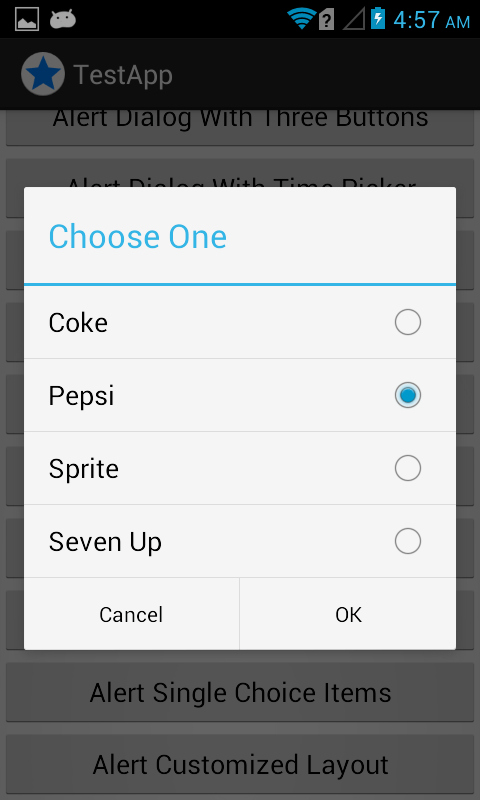 Please note that we used setSingleChoiceItems() below to create the list with radio and two action buttons. You can also make it to three action buttons by adding a neutral button. Also, a string resource was used. R.array.choices contains the items in the list, it can be found in your strings.xml. If you want to use an array adapter because you have a list from other resource such as a database, you can use this with the help of my other post. Used for giving users a chance to pick multiple items on a list. This time, we used the dialog builder’s setMultiChoiceItems() method but the items in the list is still the one of strings.xml. The onClick() method is responsible for adding or removing selected items which is stored in the mSelectedItems variable. By the way, mSelectedItems variable were declared as a property variable of our class MainActivity. The AlertDialog above can be achieved with the following code. The strings.xml used in this example is the same with the # 11.0 above. When you have an EditText inside an AlertDialog, the EditText can be focused but it won’t show the keyboard automatically. 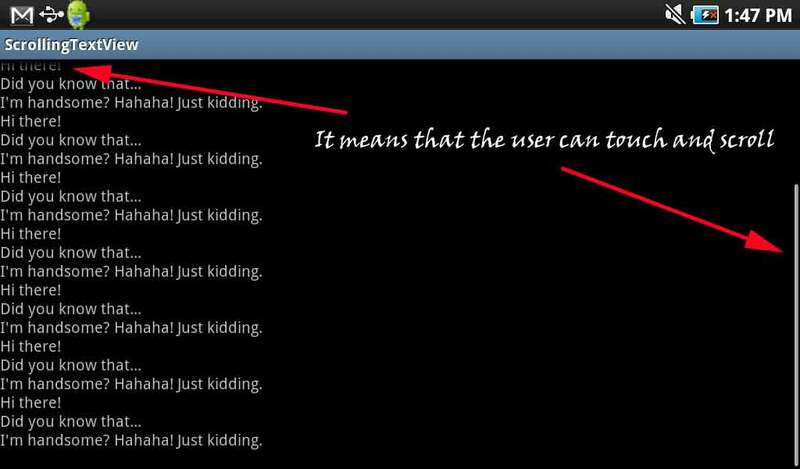 The user has to tap the EditText first, which can be annoying. The following code will make the Soft-keyboard automatically shown. Commonly used when your AlertDialog have some sort of validation. It is a default behaviour of an AlertDialog to be closed when one of its action button was clicked. To prevent that, we have to make it persistent by overriding the DialogInterface. See the following very useful piece of code. 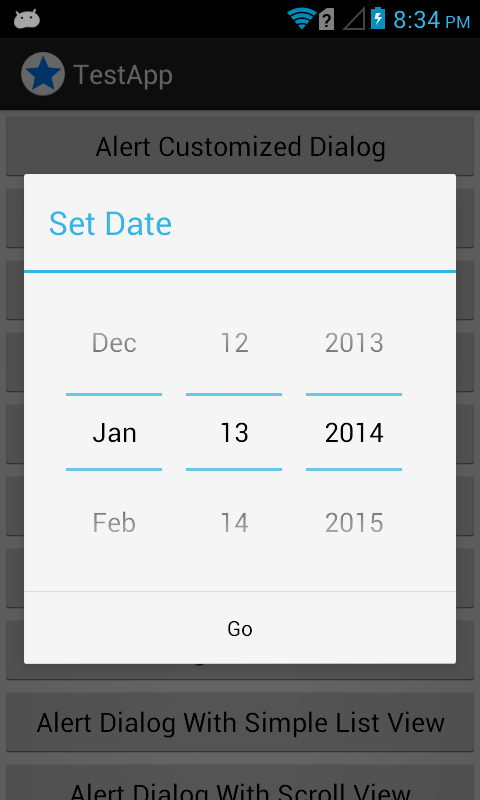 If you want to add more views or widgets inside an Android AlertDialog, you can just simply inflate it. You can use the code examples above as your reference. If you want to see the complete code of the project, I recommend downloading the whole source code. There you can see not only the MainActivity but also the layout resources, string resources and the AndroidManifest.xml, the code examples above were just for our quick reference. If you think we missed any essential Android AlertDialog.Builder Example, please tell us by dropping a comment below! We want this list to be a one stop page or reference for these types of example codes. Thanks!